Rideshare services like Uber and Lyft offer a great deal of convenience to their users, and these services have expanded rapidly in recent years. However, the lack of regulations and oversight for these services has led to a sharp increase in the number of people who are harmed by rideshare drivers. The screening and background check processes that Uber and Lyft use for their drivers have been widely criticized as inadequate, and news stories appear all too often about people who have been sexually assaulted or robbed by drivers who have passed the screening process. At Tomasik Kotin Kasserman, we represent those who have been injured in incidents involving rideshare drivers. Whether you have been directly harmed by an assault or robbery or have been injured in an accident caused by a negligent Uber or Lyft driver, we can help you pursue compensation for your damages from the people and companies who were responsible. Before entering a car, confirm that it matches the information provided in the rideshare app, including the car’s make, model, color, and license plate number. Check the driver’s rating and avoid hiring a driver with a rating below 4.5. If possible, ride in the back seat, and be sure to always wear your seat belt. 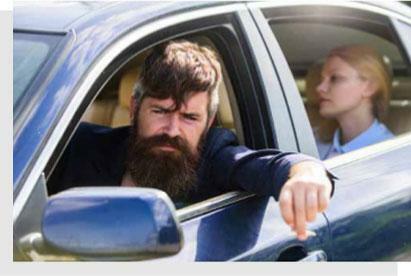 Avoid excessive drinking before using a rideshare service. Let others know about your plans by sending a text message or sharing your ETA with them. Avoid giving a driver any personal information, such as your address, phone number, or travel plans. Be aware of your surroundings to ensure that the driver is following the correct route to your destination. If passing through an unfamiliar area, use a GPS app on your phone to track the route. If possible, travel in a group and avoid being alone in a car with a driver. We believe in holding rideshare companies responsible when their negligence results in harm to passengers. We will work to ensure that you receive the justice you deserve.